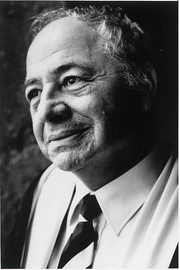 Colin Dexter began his career as a teacher of Greek and Latin, but increasing deafness made him give it up. He took a job with the Oxford Delegacy of Local Examinations in Summertown, and moved there with his wife Dorothy in 1966. Before beginning to write fiction, he produced general studies textbooks. A wet summer vacation in North Wales with two complaining children and nothing to do gave him the impetus to write his first detective story. It took a while for the Morse novels to gain popularity, which made Dexter keep his day job for 22 years until he retired. He won the coveted gold dagger from the Crime Writers Association for best crime novel of the year more than once, and several runners-up silver daggers. The Morse novels were adapted as a highly-successful British television series called Inspector Morse, which ran from 1987 to 2000. Colin Dexter is currently considered a "single author." If one or more works are by a distinct, homonymous authors, go ahead and split the author. Colin Dexter is composed of 9 names. You can examine and separate out names.